A weekend in Bundi, Rajasthan has left me craving for more of this colorful yet barren land. The charm of Rajasthan has mesmerized me since childhood. I plan a hasty trip not quite knowing what I am going to do in a quite little village named Salawas, 20 km outside Jodhpur and known for its “durri” making history. The more I travel, the more this Spunky traveler is becoming true to its name. I choose to avoid taxis and ride from Jodhpur to Salawas in a rickety bus which is not more than a semi crushed tin can. This tin can gives me an opportunity to be closer to the local community, luxury that a taxi could have never provided.How to reach Salawas: Salawas is 20 km from Jodhpur. Jodhpur is well connected by trains from Delhi. Buses and taxis run from Jodhpur railway station to Salawas every 30 min. If you are the less adventurous kind, I would suggest taking a taxi. City roads and traffic slowly give way to villages and countryside farms that pass by as our tin can grumbles away occasionally coughing and braking to let hordes of camels pass. Shambhu Ram, the younger brother of our host family welcomes us and is gracious enough to pick us from the city… tch tch !! Village center. Another short ride brings us to The Salawas Homestay. I am delighted to see the pretty round huts lovingly built and plastered with dried cow dung and scribbled with pretty tribal paintings all over. 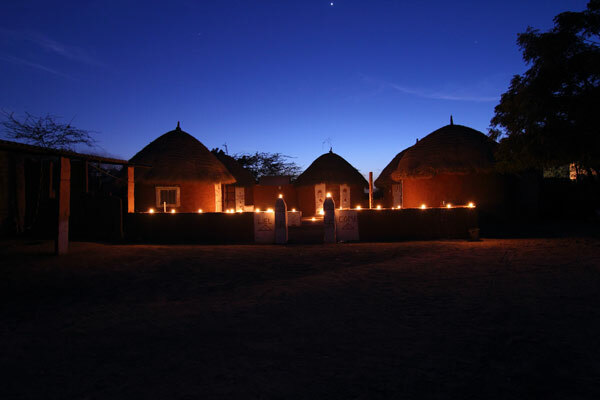 Night has fallen and the sounds of the village are slowly fading away as people sleep one by one. We have traditional Rajasthani food with homemade ‘chilli and garlic chutney’ for dinner. Our five senses are gripped by the food and we wish we had spare stomach like a camel to store more of it. My childhood is revived when I sleep off under the stars with gentle breeze blowing against my face. It seems that for decades I have not seen so many stars, listened to the sound of crickets and seen fireflies. Early morning we head off to feed the birds with our host Chhotaram. I ask him as to why the rocks are so strange in this region. My curiosity, when answered, leaves me with goose bumps. Chhotaram tells us that what we are sitting on right now is a pre-historic sea bed. My eyes sweep a wider span imagining pre-historic under sea monsters. If I had closed my eyes I would have also witnessed the sea churning wildly as Megalodon and Liopleurodon fight for power. 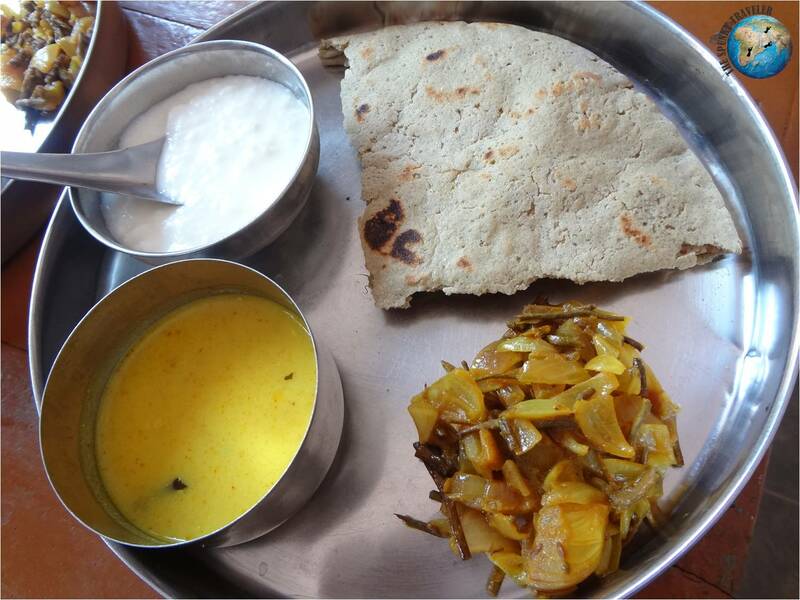 Meals prepared by our hosts were activating newer taste buds that we did not know existed. After another hearty breakfast and fresh buffalo milk, we venture out not knowing where to go. We are standing in a field full of camels when a group of children come running to us. They seem to be delighted to have visitors in their village. They crane their necks to take a closer look at my camera and the photographs. My urban and analytic mind is trying to understand them but they don’t need any reason to be happy. Looking at their own photograph in the camera makes them jump in delight. These small wonders still impart a smile on my face as I write this article. Life becomes tough at an early age for these children as they have to work in farms and help their family in daily chores. A young girl is going around the field collecting camel dung. She probably belongs to a local tribe. It is said that many tribes in Rajasthan migrated from Europe and Russia centuries ago and settled here. Look closely and you will still find blue eyes and inter racial features created due to intermingling of migrants with local inhabitants. We head off to Jodhpur to explore the Mehrangarh Fort which sits like a god atop a hill watching all its children in the city below. I have always heard of Jodhpur being the ‘Blue City’ and wished to see it one day. This time however, I realized that my dream had come true only when I saw the city itself from one of the windows of the fort. I am humbled by the respect that each traveler gets from the security staff. I had heard great stories about the hospitality in Rajasthan. Today I saw it myself, running in the blood of each and every individual. 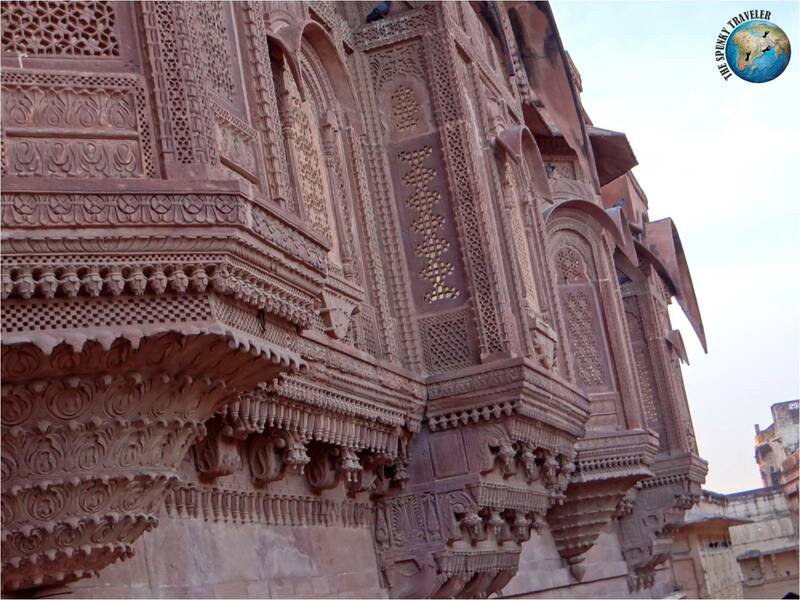 Jodhpur, although a growing city, still preserves and reflects its royalty through its people. 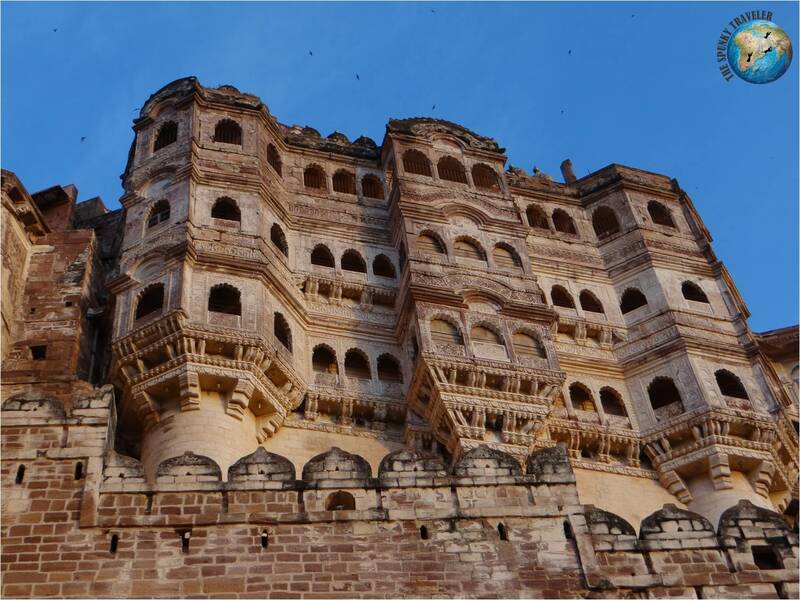 Mehrangarh Fort boasts of one of the best museums in Rajasthan. It has ornaments from the house of royalty, medieval manuscripts and swords with marks of battles fought long ago still on them. Mehrangarh Fort has seen many battles but each time pushed back the attacking armies from Jaipur, Bikaner and even the Mughals. Cannon balls from the armies of Jaipur could not do more than making small pits of the size of a human palm in the walls of this fort. The marks can be clearly seen on outer walls. 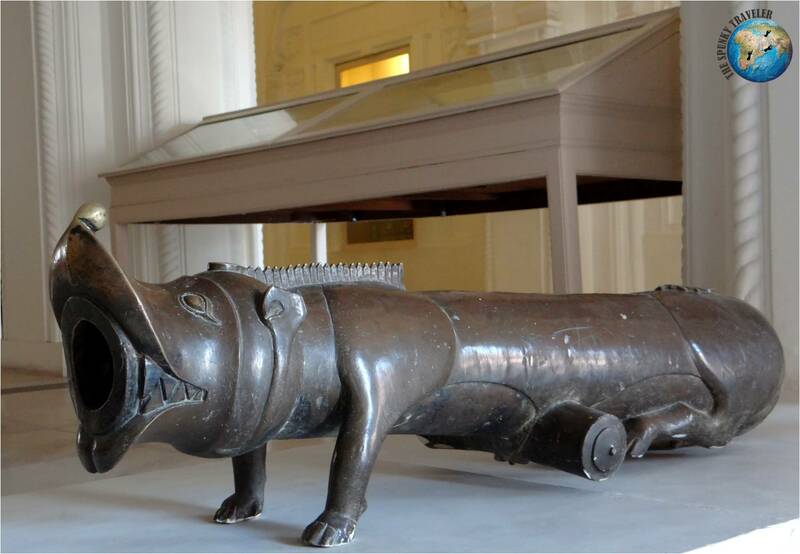 Out of all the medieval weaponry, I found this canon to be the most intriguing. People made even weapons with so much love. I love the way each and every ounce of this place and its objects oozes royalty. From the innumerable balconies of Mehrangarh Fort, I can see views which take me right back into the medieval times. Standing in these balconies, I can spend hours capturing these shots again and again and still not get the perfection which my eyes can see them with. The temple and a fresh water lake below seem to breathe life into the barren landscape. Sun is setting, the visitors inside Mehrangarh Fort are thinning out but I do not want to go. Being here among the select few gives me an even more royal experience. 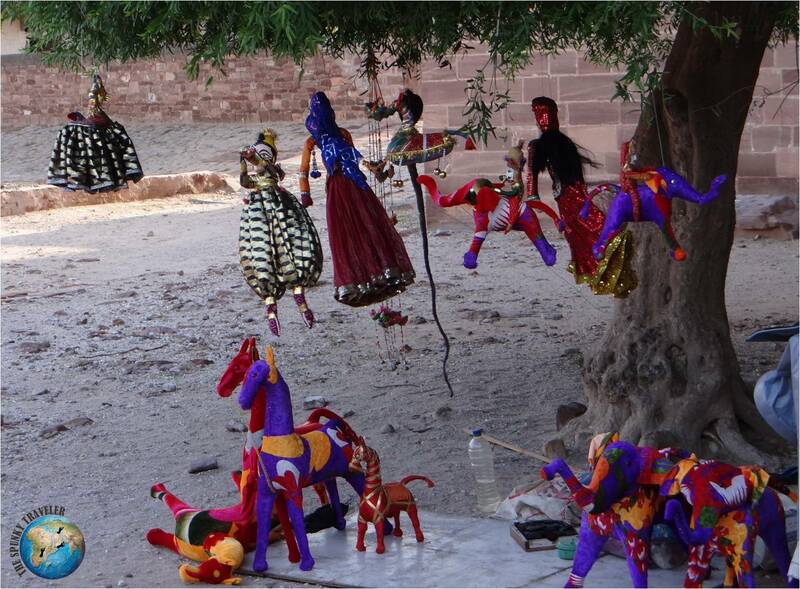 I am walking through the courtyard when I see these puppets hanging on a tree gently swaying in the wind. These puppets, although lifeless stir something inside me each time I see them. Their mystical gaze has filled my mind with whispers from the past as if they are trying to say something. My hypnosis is broken by laughter of children playing around. The brief conversation with these puppets is over. They have gone silent again and the only sound I can hear is that of the gentle breeze. Sometimes I think I might have been born in Rajasthan in my previous incarnation. We have spent hours in Mehrangarh Fort. Almost all the tourist have left and now the guard has started shouting on us. We keep on running away from his eyes pretending to be leaving but stop somewhere else. This time it was the lattice work in sandstone which compelled me to take ‘Just one more snap’. The guard seems to be watching us all the time from somewhere, although we cannot see him. As I am clicking away to glory my last photographs, he let out a final and all powerful yell and we run out head over heels.